This was the case recently with NetEnt, which clearly had an issue with a rival developer’s new slot launch. 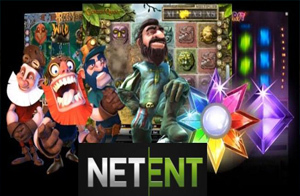 NetEnt’s iconic Starburst slot has always been one of the group’s favorite titles among players, including South African online gamblers. The team at Play ‘n Go online casino game developers thought that it may not be much of a problem to ‘borrow’ some of the features that make Starburst slot so popular. The group’s new Starblast slot bears an uncanny resemblance to NetEnt’s Starburst, from the similarity of the titles to the look and bonus features. In fact, the game was considered a dead ringer to Starburst. As a result, NetEnt’s management team dropped its Scandinavian niceties and vowed immediate action for copyright infringement. At first, Play ‘n Go ignored the warnings and rather brazenly released the game to the market. NetEnt went for the jugular and threatened to sue – a move that worked, since Play ‘n Go chose to back down and pulled its slot from the market on March 20th. This wasn’t just a case of ‘borrowing’ certain elements of a popular game. While nobody claims that software groups don’t offer copy from each other, whether themes, brands, bonus features, etc., this is done carefully and with ‘good taste’. A blatant copy-paste version of a new game is considered a no-no. Thankfully, it is not done very often in this otherwise cut-throat industry. South African players can try out Starburst video slot at major online casinos that are powered by NetEnt, including favorites such as Sloty Casino, Africasino and Genesis Casino.